Travelling with your cat - Keep calm and carry on! 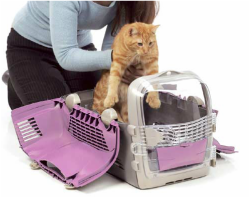 No one enjoys putting their cat in a cage but it's the safest way to travel your cat to a vet when the need arises. 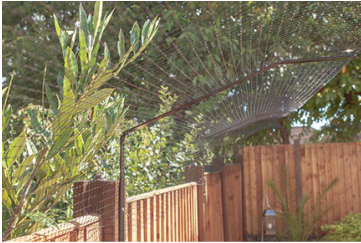 As far as cages go, the Catit Cat Cabrio cage is one of my favourites. It features a clear front viewing area, travel bowl and flap so you can open a little & stroke your cat or give reassuring chin and cheek rubs without opening the door. NB: Do not leave this flap open fully as some cats eager to get out will force their head through and have been known to get themselves in a pickle. A stress you could both do without! The carrier has two options a front door or a double opening lid that makes putting your cat in the cage easier and also makes it more cat friendly when your cat arrives the other end as the vet can easily start to examine your cat whilst they are still in the cage and let them explore their way out in their own time. It also comes with a handy shoulder strap to help spread the weight of the cage for those with weaker wrists like me. It comes in three colours, pink/grey, plain grey or orange/grey. Whatever you do, don't forget to add some synthetic pheromone (Feliway Spray) to the inside surfaces of the cage about 15 minutes before you put your cat in. Repeat on the way home too if collecting your cat after a vet stay! This 15 minute "wait" period ensures that the alcohol base evaporates before your cat can smell it (cats hate the smell of alcohol!). 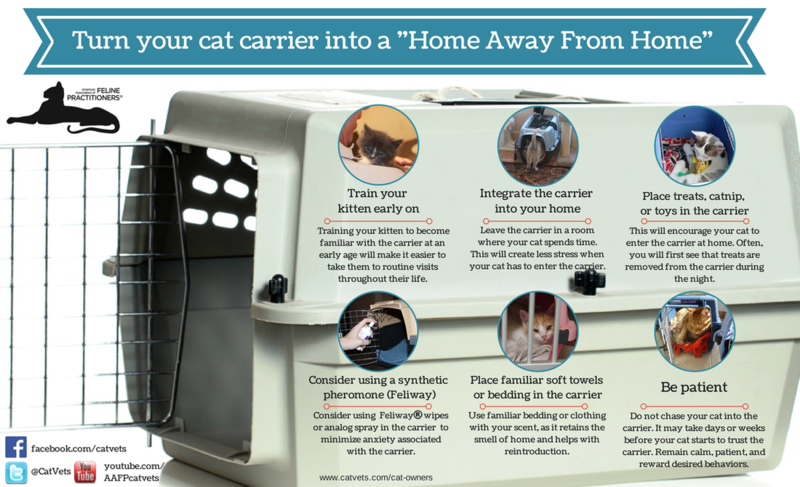 Check out these links to more about choosing a calm way for your cat to travel to the vet. ​or being knocked down by a car, then Protectapet offer the purrfect solution. Eve and Simon run the business which like mine was borne out of a passion for cat welfare. You can either buy the parts online and do a DIY job or let the experienced team come and install it for you! Either way the customer service is great and I know the product will revolutionise you and your cats' lives! There are mixed opinions on cats and collars, however in my experience, if chosen carefully there are safe collars out there. As responsible cat owners we do have a duty of care for the local wildlife and having a bell on your cat's collar can help alert potential victims of a cat's presence. Collars are designed to be used alongside, not instead of, a microchip. Not everyone has access to a microchip scanner or a means of getting a cat to a vet/rescue centre to be scanned. ﻿A collar with an identity tag and "scan me"/"microchipped" on it, can really help members of the public see that your cat has an owner and help them to track you down if the need arises.